When buying a pair of eyeglasses for your child bring them along. Your child should like how the glasses look and feel. 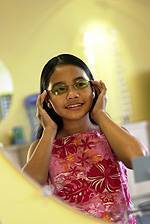 At Regional Eye Center, we carry a wide selection of children’s frames. For more information about Regional Eye Center’s Optical, or any of the eye care services we provide, call us today!